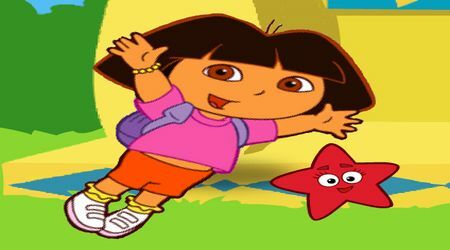 Click on Dora to make her jump in the air. Do not let her fall to the floor for as long as you can. Click the falling stars for more points!